Hibaldstow Airfield is located east of the B1207, between the villages of Hibaldstow and Redbourne, Opened in May 1941 as a fighter airfield in 12 Group, it was unusual in having three intersecting concrete runways from the outset, as most fighter airfields were initially grass-surfaced. The short runways, 1,600 yards, 1,475 yards and 1,300 yards in length were accompanied by 12 blister hangars, a single Bellman hangar and six defended aircraft dispersals (known as ‘E’ Pens due to their appearance in plan form). The small technical site was located just off the western perimeter track, whilst communal and accommodation sites were dispersed to the south. On 15 May 1941, 255 Squadron moved in from nearby Kirton in Lindsey with their Hurricanes and Defiants, staying until 20 Septemnber 1941 when they moved to Coltishall, Norfolk. The next day 253 Squadron arrived with Hurricanes from Skaebrae, Orkney. 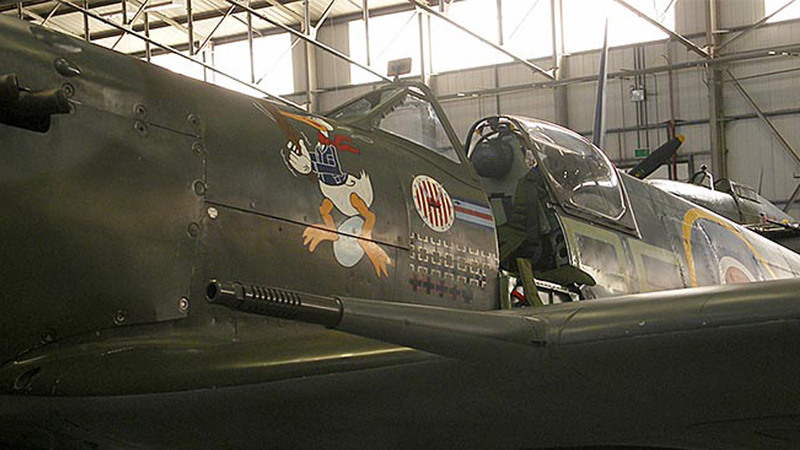 They joined the Douglas Havocs of 1459 Flight and together were tasked with night interception. The Havocs were fitted with the Turbinlite, essentially a large searchlight fitted in the nose. The idea was to find enemy bombers using radar, then illuminate them with the light, allowing the Hurricanes to intercept the enemy by sight. The hunter-killer scheme was not a success and 253 Squadron moved to North Africa in November 1942. On 2 September 1942, 1459 Flight became 538 Squadron and on 9 November, was joined at Hibaldstow by 532 Squadron. Bothg squadrons continued their night fighting duties until disbandment on 25 January 1943. In May 1943, the station was transferred to the training role whilst the remaining part of 12 Group became home to OTU (Operational Training Unit). During 53 OTU’s tenure , it was necessary to ground-run the aircraft prior to an air test, with a ground member sitting on the tail. This prevented the nose from hitting the ground whilst stationary. In windy conditions. the mechanic often stayed onboard until reaching the runway where the pilot would stop and the mechanic dismount. On this occasion, aircraft mechanic – Leading Aircraft Woman (LACW) Margaret Horton was required to sit on the tail of Spitfire AB910, acting as ballast with Pilot Flight Lieutenant Cox, in the cockpit. Unfortunately Cox took off straight away with Margaret still clinging onto the tail. The Spitfire climbed to 800 feet, the combination of her weight on the tail and her grip on the elevator very nearly had disastrous results but fortunately the pilot was able to regain control and one circuit later he landed with a very frightened WAAF still wrapped around the tail. In May 1945, 53 OTU was merged into 61 OTU at Rednal, Shropshire bringing Hibaldstow’s war to an end. 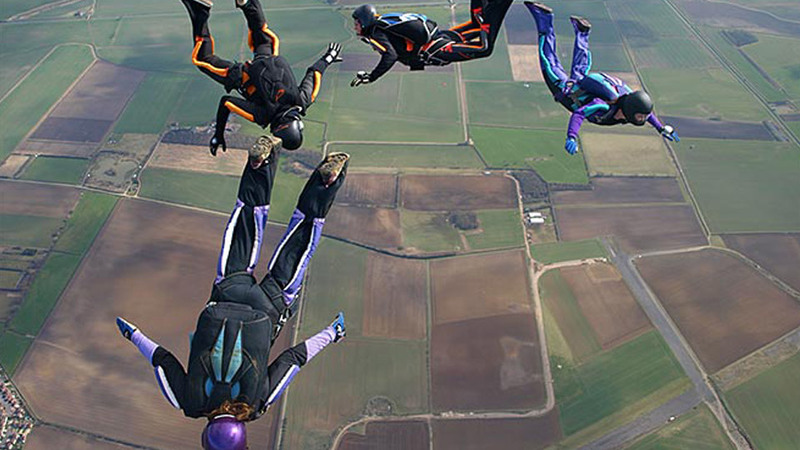 Today, most of the runways and perimeter track remain and flying still takes place as the airfield is used for sports parachute training. Most of the technical and accommodation buildings have gone, although the watch office remains having been converted into a house. Mounted high up on the exterior of the watch office is a small plaque dedicated in 1966, to ‘All Who Served’. 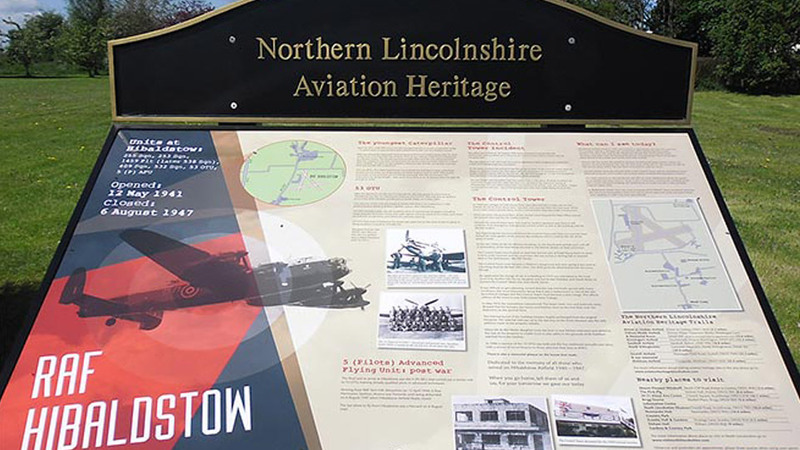 There are two Northern Lincolnshire Aviation Heritage information boards, one near the watch office and the second near the airfield entrance on South Carr Road. (Pic: Phil Bonner).